How Much Would You Spend to Save a Life? This website sponsors an organization whose mission is to eliminate tuberculosis-related deaths among children, focusing on children in poor, resource-deprived countries. (Countries like Swaziland!!!!) If you visit this website, you will find a large, red button that says "donate now." In the introduction to my blog, I asked all of you how much you value a single human life. What would you do to save the life of a single tuberculosis-infected child? How much would you spend? What is their life worth to you? Here is the good news to my semi-manipulative rhetorical questions. And I'll admit that I'm slightly attempting to guilt you into this by posting the photo of the adorable malnourished child you see on the left. But this is important to me! And I think it is also important to you. Anyways. The good news: tuberculosis can be cured with treatment that costs 50 cents a day. A one-time donation of 25 dollars will save a life. This is where the difference between "how much would you spend to save a life?" and "how much would you need to spend to save a life?" comes in to play. How much you would be willing to spend is basically irrelevant because the amount of money required to save a life is not much: 50 cents a day or a one-time donation of 25 dollars. That is not a whole lot of money! So will your donation actually contribute? Actually, yes. Since 1995, 46 million people have been successfully treated and up to 6.8 million lives saved through DOTS, a rigorous approach to treatment endorsed by the World Health Organization and the Stop TB Partnership. Below I've listed the five main goals of this program, but if you want more information on it I will post a link to the website following the list. Here are the facts of the matter: Left untreated, tuberculosis can kill. With medication, tuberculosis can be eliminated. This medication can be purchased by a small donation. And you can be the one to donate! You can save a life today. You can fight tuberculosis for those who cannot fight it themselves. This is a life-changing and life-saving opportunity! Who is doing something to help? So there's good news and there's bad news. The bad news is that Swaziland's tuberculosis incidence rate is the highest in the world and 80 percent of TB patients are co-infected with HIV. The good news is: Swaziland's unfortunate tuberculosis situation has gotten the CDC involved. 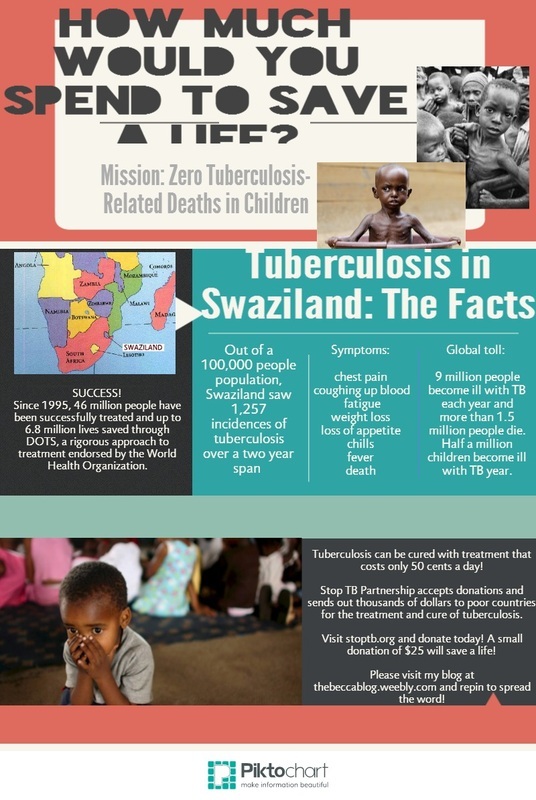 The Centers for Disease Control and Prevention started supporting Swaziland in 2004 and has since joined forces with different organizations to build a health system that will create a sustained response to the tuberculosis epidemic. Fair Trade in tourism aims to maximize the benefits from travelers in the area to the local community. SERRV is a nonprofit organization that supports sustainable tourism and fair trade. 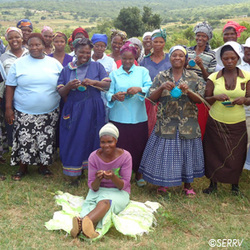 The goal of SERRV is to eradicate poverty in Africa and other areas by working with local low-income farmers, artists, and business owners and marketing their handmade products. SERRV hopes to create economic opportunities for the locals. They advertise the local products by saying that every object has a story behind it and these stories are about "equality and dignity for all people." 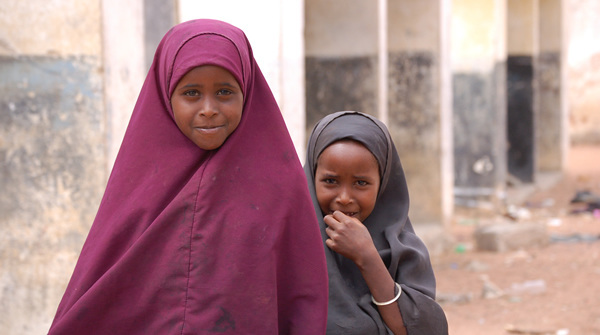 They want these small-scale merchants to achieve basic human rights, food, shelter, education, and health care. SERRV offers prepayments to the local merchants to keep their business afloat, they market their products to increase sales, they teach new skills, they pay the merchants, and they support sustainable development. They treat the local business owners like business partners and they promote long term relationships. This ensures fair working conditions and fair prices. All of the products are handmade and local so the proceeds go straight back into the local economy. Tourists in the area purchasing these products are fully supporting the local economy as well as getting a taste of the culture of the people. I love this organization for obvious reasons. The main reason is that the focus of this organization is the local people. The benefit of tourists purchasing local handmade products is that it creates a better life for these people. A boost in the economy will hugely impact the people's ability to buy food, find shelter, and most importantly (which, I have to admit, is biased of me)... health care! The tourists don't even need to be directly purchasing tuberculosis treating medication; they are doing it indirectly! By purchasing the products of these merchants, the tourists will be providing more money to these people so they can take care of their health needs. In a way, the consumers that are taking advantage of SERRV's nonprofit organization are helping cure tuberculosis. That is why I love SERRV. As a bonus, these consumers get a taste of the local personality and culture by purchasing their handmade products. This is, without a doubt, a win-win situation. The motto of SERRV is "to enrich and inspire." By immersing the tourists in local culture, they will be inspired to give something back. Everyone check out this awesome organization! Earthfoot is an online organization that advertises independent hosts who provide small scale ecotours to tourists in their area. 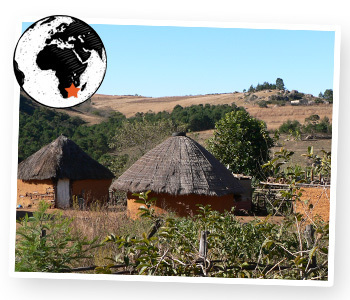 There is an Earthfoot host in Swaziland named Mxolisi Mdluli who provides ecotours based out of Liphupho Lami Holiday Camp (http://www.earthfoot.org/places/sz001.htm), which is located on a community farm in the hills of Swaziland. Liphupho Lami consists of 4000 acres of farmland belonging to the local community. 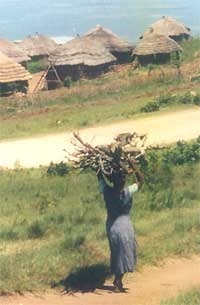 Tourists come here to get a taste of rural Swazi life and to interact with the locals. As a plus, this ecotour provides the locals with a source of income. Mxolisi Mdluli desires to maintain the natural beauty of the area and has committed to sustain the environment in every way possible. Even the housing is made from traditional material. Tourists taking part of this ecotour can stay for the day or experience the overnight trip package. They have the opportunity to visit the people's market, shop for vegetables, spend time in a rural village to learn about family life and culture, speak with the locals, spend the night in a traditional hut on grass mats, cattle dip, and visit the local school. Mxolisi Mdluli's goal is to have the tourists get to know the local people and learn what makes them special. Not only does this ecotour serve to sustain the environment and other resources in Swaziland, but it serves to sustain the most important resource to me and to this blog: people. If tourists can get to know the people and appreciate them, they will be more willing to jump on board to help give these people the health care they deserve. The tourists get to experience first-hand how these people live their lives. They have the opportunity to become a part of the culture without attempting to change it or disrespect it. They follow the "leave no trace" principle as they enjoy the people and the culture of the rural area without destroying it or taking it over. And the best part is that the community benefits from this ecotour! The ecotour itself costs a decently-priced fee that gets donated to the community. Tourists are also encouraged to donate their time to the market and the farm and also small gifts to support the local school. This truly is a great way to walk a mile in these people shoes to gain a deeper understanding and appreciation for them. If you spend a few days with the people here, how could you possibly resist taking small steps to fight tuberculosis and save their lives? The Most Depressing Blog Topic Ever? I know what you may be thinking: a blog about people in Africa dying of tuberculosis is probably the most depressing read ever. But it's not! Ok fine maybe it is… But as clique as this sounds, I think this is one place out of the many bleak and depressing aspects of human diseases and dying where we can make a difference… a place where all of us can save lives. First, allow me to introduce you to tuberculosis. Some of you may have received your TB skin test after receiving a new job or volunteer opportunity. I, personally, have probably taken about six TB tests in the past three years alone. But do we actually know what our jobs are testing us for? Do we even care? Probably not. That is because America had an incidence rate of 4 cases of tuberculosis out of 100,000 people between 2008 and 2010. The chances of any one of us acquiring tuberculosis and then dying of it here in America are pretty slim to say the least. Swaziland, however, is not so lucky. While we saw 4 cases of tuberculosis out of a 100,000 people population, Swaziland saw 1,257. Over one thousand incidences!!! And I will tell you that tuberculosis does not sound like a fun disease to have. Because TB is an airborne bacterial disease, it usually hits the lungs first. Unfortunately, it also spreads to the kidneys, the spine, and the brain. Symptoms include chest pain, coughing up blood, fatigue, weight loss, loss of appetite, chills, and fever. Left untreated, tuberculosis can be fatal. Remember the character in the picture? That's Anne Hathaway, who played the role of Fantine in Les Miserables. 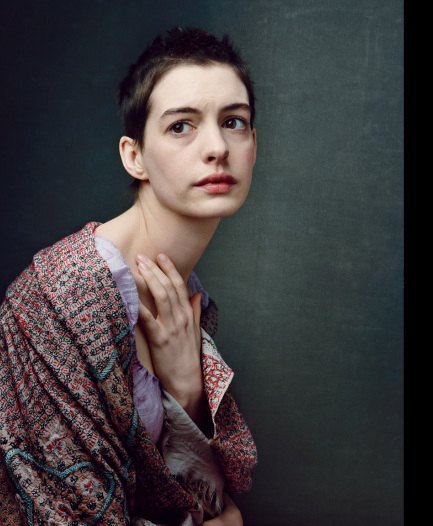 In the movie, Fantine died of tuberculosis, or more casually known as consumption. Hi, my name is Becca. I am originally from Portland, Oregon, but I am currently a student at the University of Utah. I am an exercise physiology major and I am hoping to go to medical school. I work as a surgical tech at a hospital here in Salt Lake and I love medicine and I love people. I want to dedicate my life to saving lives and I really believe every life is worth fighting for.